Where Are My Skype Photos Stored? 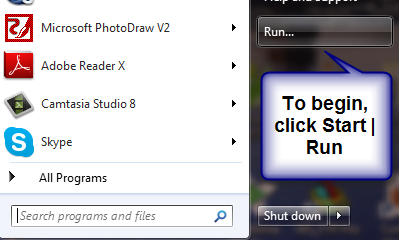 Question: Where are my Skype Pictures stored on my computer? I took a bunch of Skype photos of myself and others from within Skype and now I cannot find any of them. So, my question is, where in the heck are the Skype photos stored on my computer? Fortunately, we have the answer for you and it’s pretty simple. Getting to the Skype Photo Directory! 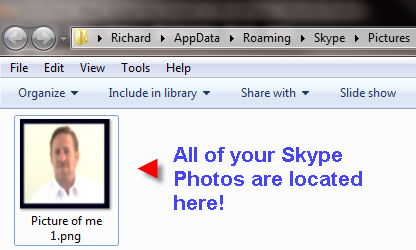 After clicking ok, you will see the directory that contains all of your Skype photos as you see in the image below. View Your Skype Photos Here! On behalf of Skype, we apologize that they do not make this clearer. Wait, no we don’t…it should be clearer, but it’s not! Now, who cares? We have got you covered. We have shown you where to find your Skype Photos so that now you can do whatever you would like with them. If you have any further questions or comments, simply use the comment area below! 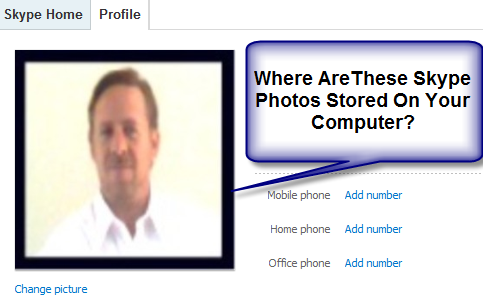 Richard CummingsWhere Are My Skype Photos Stored?